Can you believe it? Party in the Park is here (Saturday 5/18)! 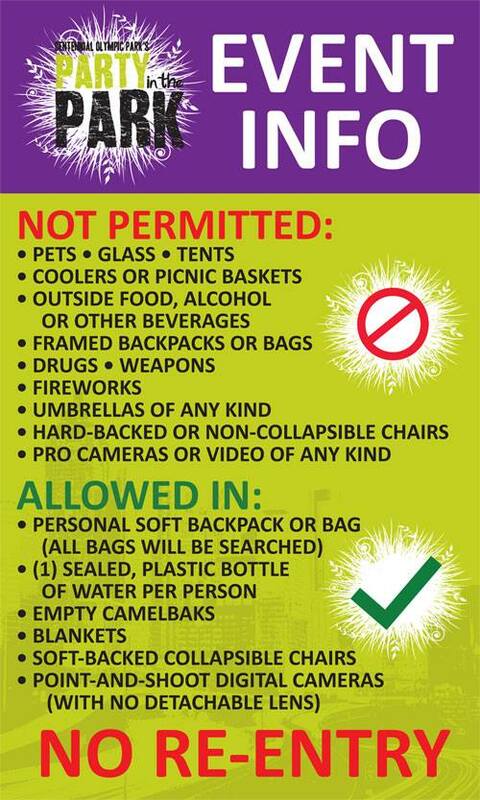 Before you head out for a full day of music and fun though, make sure you read this important information. 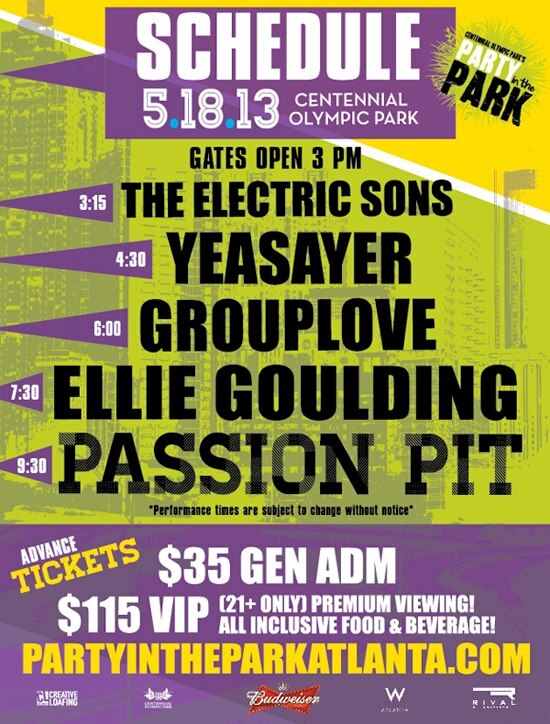 First off, in case you want to know when your favorite band takes the stage, we’ve got the event schedule below. Remember that these times are subject to change without notice. General Admission Tickets are still available! You can also live it up and go for the VIP option (21+ only) which includes Food, Beverages, & Premium Viewing! Finally, read through the graphic below for general info and facts to make your Party in the Park experience as enjoyable as possible. For more information, you can head here. Weekend Picks: Racks by the Tracks, Party in the Park, Rome River Jam, Springfest, and more!